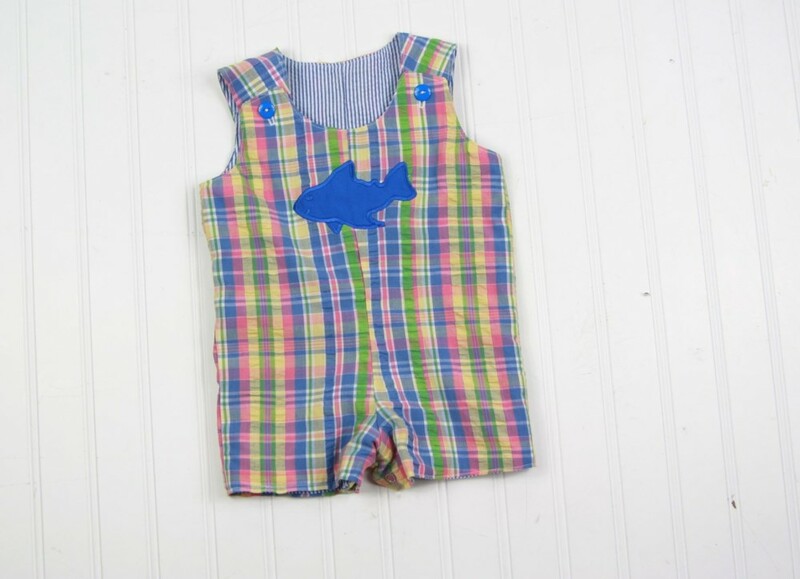 This sweet shortall is made of pastel plaid seersucker, and appliqued with a blue shark. 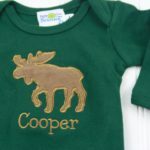 Choose to add a monogram or name if you’d like! It’s fully lined, 100% cotton. 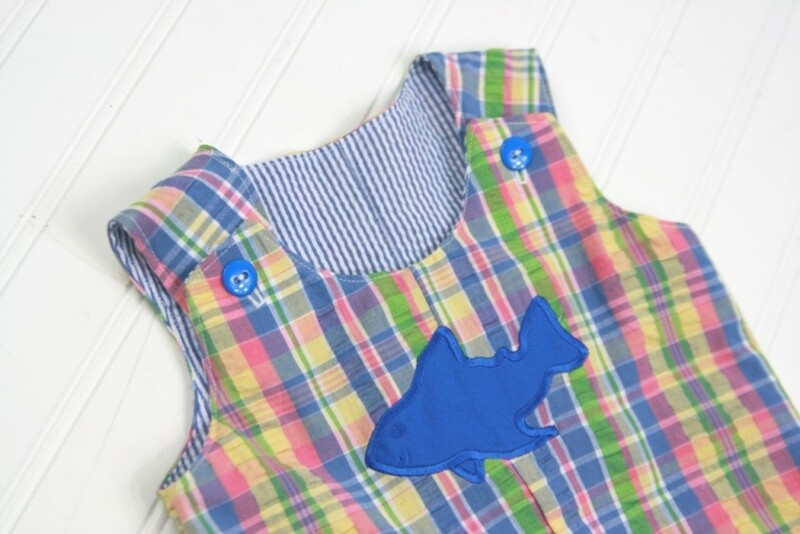 Buttons at the shoulders. Snaps at the crotch for easy diaper changes. Completely machine washable! Handmade in South Carolina. Shipping rate B- all shipping options shown at checkout! 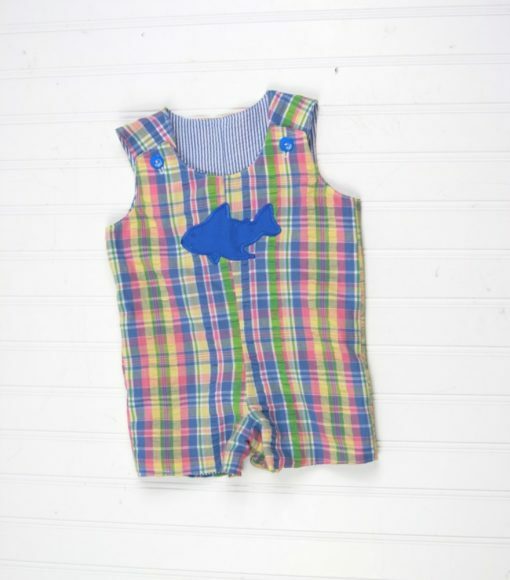 Our baby boutique clothes are perfect for any stylish little fella! This citrus plaid seersucker fabric is light and perfect for summer. Order the outfit with the shark pictured, or add a name or initials underneath. It’s made of 100% cotton seersucker fabric, lined in white fabric (or choose to make it reversible! ), buttons at shoulders, and has snaps at the legs for easy diaper changes. 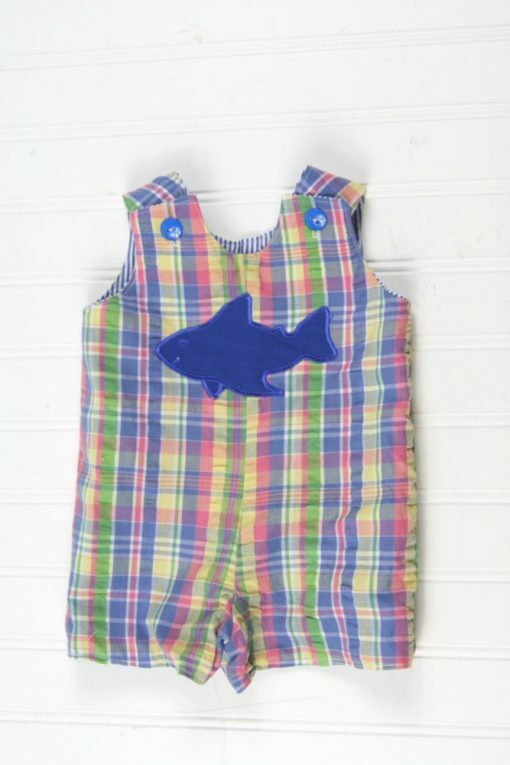 These outfits are perfect for special occasions, as well as everyday play. They’re completely machine washable! 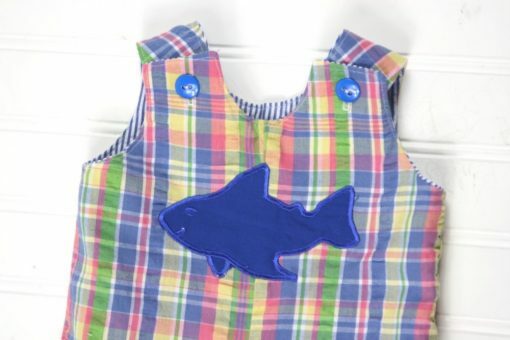 OPTIONS: You can order the shark outfit with or without personalization. Customize your outfit as you add it to your cart. 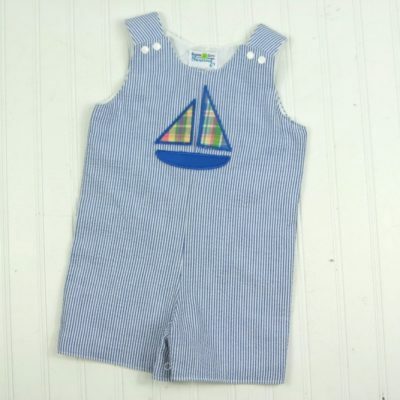 The thread color and font you select would be for the name or initials embroidered on the outfit. If you choose to get it without personalization, select none for the thread color and font. 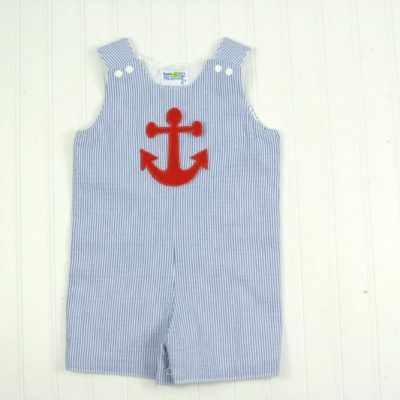 FONTS: Font Choices for the shortall are available in the last picture.